Home » Exclusives » The Hobbit: The Battle of the Five Armies BLU-RAY GIVEAWAY! The Hobbit: The Battle of the Five Armies BLU-RAY GIVEAWAY! The final installment of The Hobbit is here! 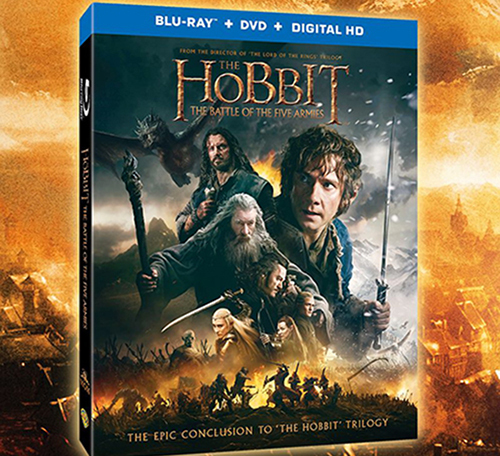 Warner Bros. is proud to bring you the Blu-Ray release of The Hobbit The Battle of The Five Armies! Together with Partnershub, Legendarium Media is giving YOU a chance to WIN your own BLU-RAY copy of the film! Mouse over the Interactive map of Middle-Earth and take the quiz to find out if you’re Brave like Bilbo! Tags Blu-ray Contest Featured Giveaway Legendarium Media Partnershub Peter Jackson The Hobbit: The Battle of the Five Armies Warner Bros.
Next BREAKING: Marvel Announces Phase 9 Lineup!